Primary Arms Deluxe Extended AR-15 Scope Mount - 1"
With long eye relief, a fast-focus eyepiece, fully multi-coated lenses and resettable MOA turrets, there is no compromising with the Vortex Crossfire II. 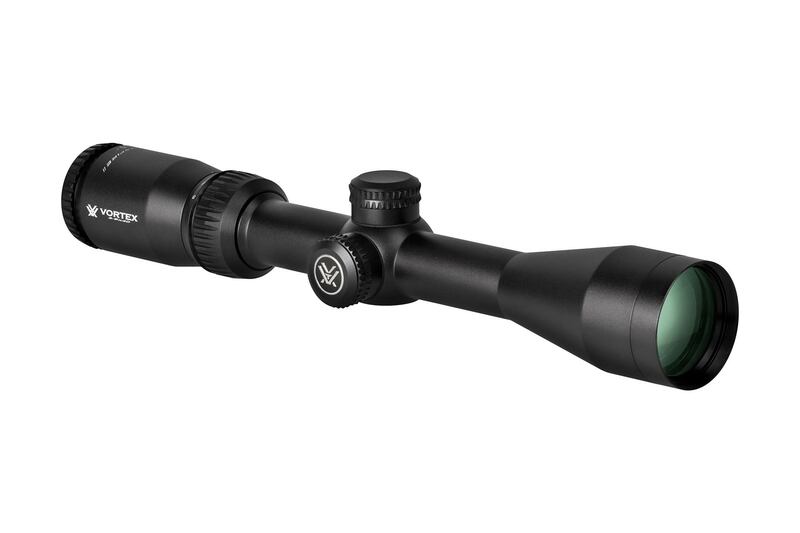 Built to withstand recoil and impact, this rifle scope is ruggedly constructed from a solid block of aircraft-grade aluminum and anodized with a durable black finish. The scope contains O-ring seals preventing moisture, dust, and debris from penetrating while nitrogen gas purging prevents internal fogging over a wide range of temperatures. 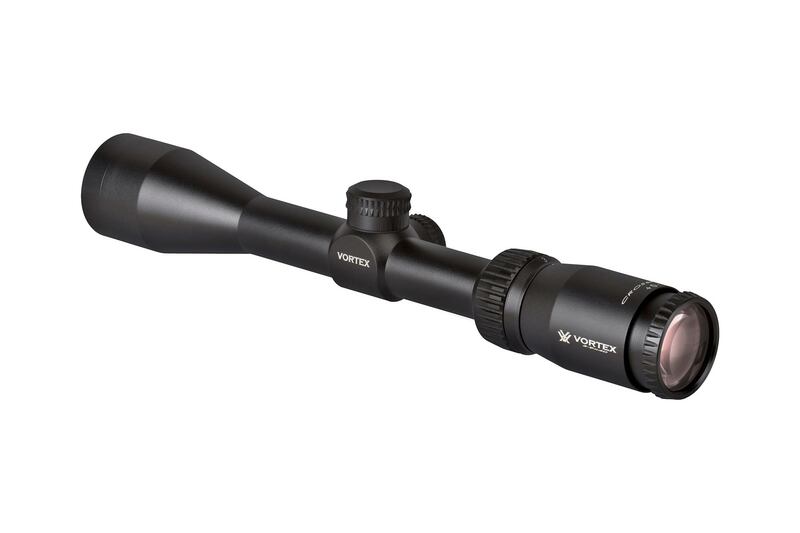 This variable magnification optic is a great option for hunting whether you are using a light recoiling AR-15 or heavy hitting bolt action rifle. Inside this second focal plane (SFP) offering, you’ll find Vortex’s Dead-hold BDC. It’s customized hashmark design helps eliminate guesswork on holdover and windage corrections. Great for shooting at varying ranges where estimating holdover is of concern. The SFP design that the reticle is located closer to the ocular lens and will change size depending on magnification setting and the BDC will only be accurate at the highest setting. 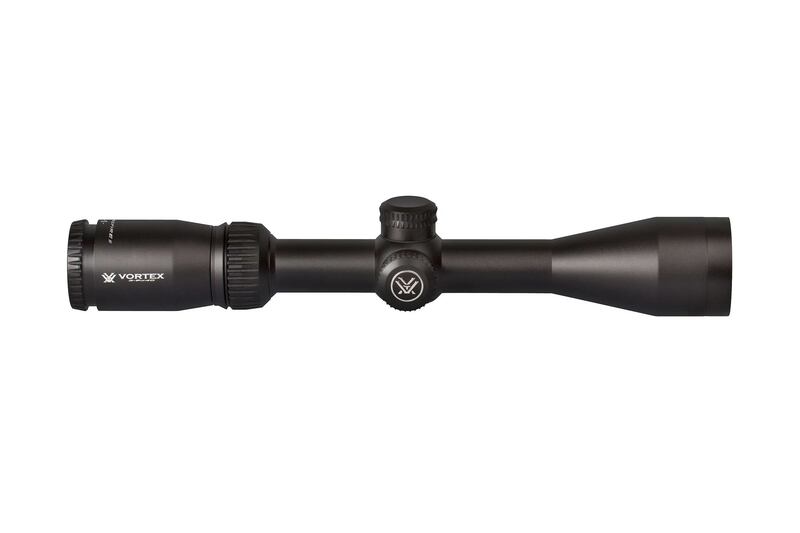 This makes it a great option for hunting and long rang competition shooting where you will only be taking your shot with the magnification at the highest level. First Vortex but not the Last. Clear clean full of view not tube Quality for a good price. Excellent scope for the price! I couldn't ask for a more quality scope at this price. It is very high-quality in every aspect. To top it off, Vortex has the absolute best warranty: an unconditional lifetime warranty, meaning if it breaks, they'll repair or replace it for free (even if it's your fault) for as long as you own it. That's a warranty that simply can't be beat!As for their service, Primary Arms is my favorite online retailer when it comes to guns and parts. This scope shipped for free, and I got it 2 days after I ordered it. This isn't the only time either; they always ship fast and are the most customer-oriented company I've ever encountered. I will continue to shop here in the future. Bought this on a whim and was very much surprised with the quality of the scope. I own Leupold's, Bushnell's and a Zeiss and really can honestly say this scope is a true value for the money. Sighted it in at 100 yards, put a rock on a golf tee at 100 yards and shot it without hitting the tee at all. Put a spent .22 lr round found at the range on top of the targeting particle board at 50 yards and shot it off without touching the particle board.This thing zeroed in is amazing and crystal clear. For $146 + PA scope mount + S&H = $146 amazing sale and speedy shipping even a phone call from the guys.Simply amazing service. I purchased this scope when it went on sale at Labor Day. Best deal I could find, and extremely quick shipping! I have shopped numerous times with PA, and I always come back. Marshall and crew are fantastic! UNBELIEVABLY fast service. Placed the order late morning, it shipped that afternoon, and arrived 2 days later.Regular shipping - no extra cost.Thank you Primary Arms. I do not have a lot of experience with scopes but so far the crossfire has exceeded my expectations. Clear image, great eye releaf and a solid zero is all you can ask for and this scope delivers. More importantly than my experience with the scope is my experience with primary arms. If I could rate them 10 stars out of 5 I would. I have never dealt with a company more eager to accommodate a customer. From now on if I need anything shooting related my first stop will always be primaryarms.com. Great scope for the price,mglass is clean and clear and will definately suffice for most folks needs for under 300 yard shooting. I haven't had the chance to take the scope to the range yet but the glass appears bright. Shipping was prompt. I haven't had a lot of time with this scope but after about 50 rounds of 7.62 it seems to be holding zero well enough. The optics are clear and easily adjusted. It's exactly what I was looking for.